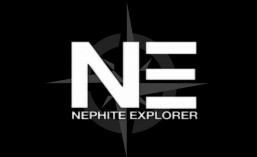 Nephite Explorer TV is a weekly expedition into the scriptures in search of unlocking prophecy and modern day applications from holy writ. 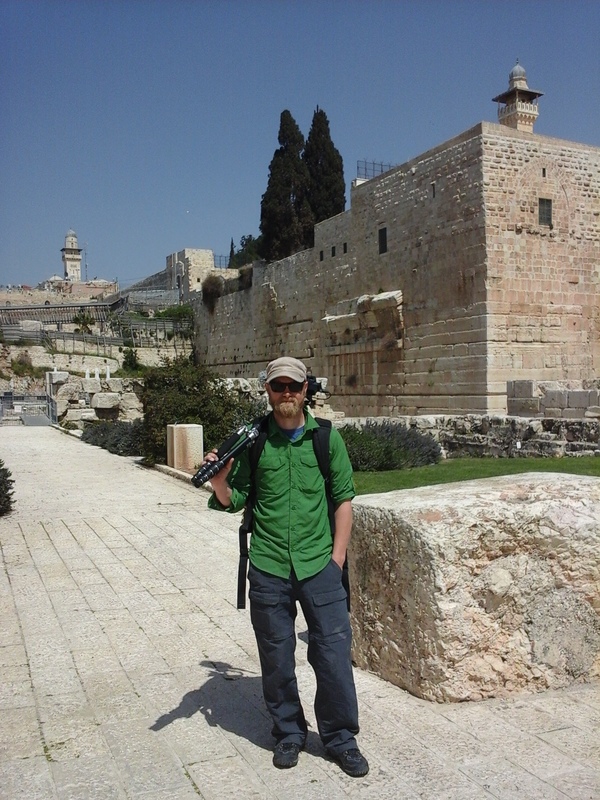 The Nephite Explorer Project is presented by journalist and National Geographic photographer Ryan Fisher who travels around the world following the clues to help unlock prophecy and mysteries from the Bible, Book of Mormon and American History. Utilizing the tools and techniques of investigative journalism Ryan gathers insights from researchers, scholars, historians and archeologists to reveal the fulfillment of prophecy like never before. 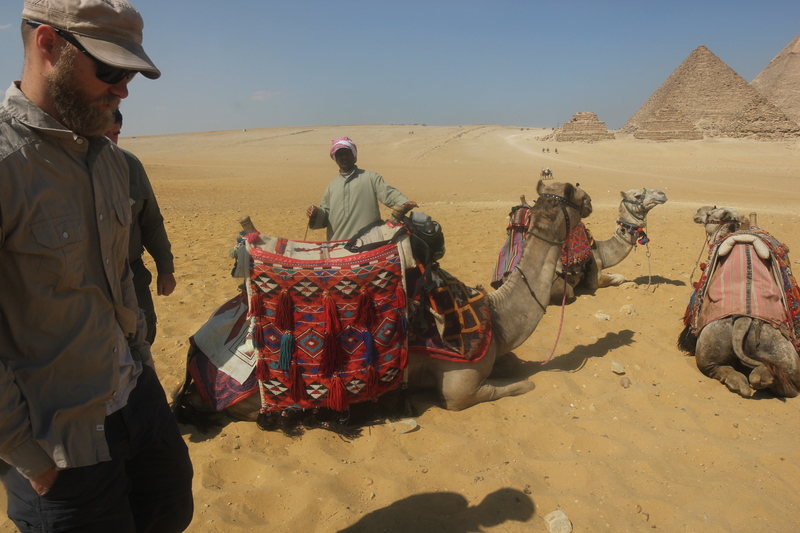 The findings revealed are nothing short of astonishing as advances in science, technology, archeology, history and scholarship all help further our understanding of some of the most important events in Christianity. Each Nephite Explorer program is an independent report and the views and theories explored are the viewpoints of the authors and presenters and do not represent the official viewpoints of any church or organization including the Church of Jesus Christ of Latter Day Saints. Yes, the new episodes will be available here online Monday nights. Don’t bother with the streaming. Thanks! Is the May 12th episode going to be posted? but overall the site is interesting..i’d give you a 2.5 out of 5 stars. I’m simply discussing research and theories in that article about the artifacts as I state…..”And, that leads me to speculate on the possibility (however remote) of this armband belonging to one of the stripling warriors. I know this is a stretch to say the least, but just the possibility is really exciting.” ….. no difinitive claims in that piece but just as you said, it’s interesting and as more research comes out we’ll know more. I’m sure you have many interesting perspectives on this subject so do share! Thanks for the feedback. Alright I’ll bite. Since this discussion centers around conjecture and speculation I’ll give my .02 First of all, these types of presentations are “interesting” to me because it does shed light on the BOM. However, in my opinion, the presentations are rarely geared toward an indigenous audience or told from an indigenous perspective, which is understandable because not many of us native peoples are members of the church and if we are, we are not in large numbers…as we “native Americans” make up 1% of the US population…perhaps even fewer are LDS or identify with the church…which would make me the ultimate minority of minorities. Your website centers around “What did the pilgrims believe” or “what did the founding fathers say?” I imagine it is because your audience is largely homogeneous and your viewership is largely centered around the greater SLC region? Again I am merely speculating since the vast majority of the state of Utah is comprised of LDS members. Now, who am I? I am woman. I am a member of the Navajo Nation. I live in the southwest. I am also a faithful member of the LDS faith. I served a mission. I am endowed and I regularly attend the temple. However, I also consider myself a liberal democrat and I campaigned and voted for Barack Hussein Obama. I throw that part in because under your “research-video presentations” you have a speaker named Timothy Ballard who begins his speech by bashing President Obama. But that is not the topic of this discussion. Needless to say, I could only stomach this individual’s presentation for about 2 minutes. Among my people,we have our own creation story. We refer to it as Dine’ Bahane (which would be the English equivalent of The story of the origins of the people). In this creation story it begins with a void, a complete darkness. And some type of “miraculous” occurrence gives life to beings who then begin creating other forms of life …something similar to “the big bang” From the LDS standard works we know that God created the world through our Savior who organized matter from a void and created this earth. In our creation story we also have the creation of first man and first woman. In the LDS standard works we have Father Adam and the mother of all living, Eve. In our creation story we also have “talking god” and “hogan god” who are powerful. Perhaps they are a type of representation of heavenly father and the savior. In our creation story we have the 12 holy people..who are not “gods” but serve more as deities who assist and give help to the people. The 12 disciples perhaps? In our creation story we also have the story of the monster slayers who slayed giants. . There is conjecture in LDS theory of the giant skeletons that have been found..which are believed to be the Jaredites. So we have elements the gospel within our creation story. However, the creation story in and of itself is largely different in terms of cultural context from LDS teachings. In a 1955 Improvement Era article entitled, “Indian Traditions” then mission president of the Southwest Indian Mission, Golden R. Buchanan compared BOM stories with “Indian Legends.” In the article, Mr. Buchanan stated that among the Navajo, there existed a story of a man and a woman who had four sons. The two oldest rebelled while the two younger were appointed their leaders. The article goes onto say that the Navajo told the story of the older brothers living in the forest. They warred and preyed upon their two younger brothers. Mr. Buchanan also compares the “legends” of other tribes. There is a group of indigenous people that live in Canada called the Dene’ They make their home in the northern arctic region of Canada. My people are called the Dine’ We make our home in the desert region of the southwest. I have a friend named Percy. He is Dene from Canada. While our language is largely corrupted our dialect is both Athabascan. Percy tells me that we are the same people. The “legend” among his people ks that at one time we were one. However, we were migrating from one region of the arctic to another when the ice broke in half causing the people to separate . One half of the people were one the north side and the other half of the people were on the south side. So the medicine people gathered together, broke a sacred pipe in half, giving one half to one group and the other half to the other group. The story is that when these two pipes come back together, the people will come back together, and when that occurs then great changes are coming about. In recent times officials from the Dene’ nation sent a delegation from Canada and officially met with members of my people in Window Rock, Arizona. Anthropologists/Archaeologists state that we come from Siberia through the Bering Straight theory. If that if the case then how are we descended from the BOM peoples? Our patriarchal blessings identify the blood of Lehi in our veins. In our little branch we have several members who descend through Manasseh. We also descend through Ephraim. One of my good friends lives in Tuba City, Arizona and her patriarchal blessing states that she descends through Manasseh. If Wayne May is correct and Zarahemla was in the eastern US then the descendants of Lehi have migrated far and wide. Well that is all that I have on my mind right now. Thank you for your insights. The information you presented from your culture is important stuff for everyone (LDS and non LDS) need to know. In season two we have Native Americans working on Nephite Explorer along side me to fill in “the rest of the story” behind the Nephites and Lamanites just as you are doing. Thank you for sharing, I’m glad you “bit” so to speak. BTW, the next few episodes of Nephite Explorer investigate the relationship between Joseph Smith and the Native Americans, your gonna love it ( I hope). I am anxiously waiting for the next series to come out. I understand the fellow above an how it might have been. My ancestors were Laminite as well and I love the possible reasons for the whats and whys. Just to learn something new is wonderful to me and to have the Book of Mormon come alive is wonderful. So keep this up. I hope you never stop teaching us all. that is good to know. I’ll be interested in which nations they belong to and how their oral traditions tie into the BOM. Ryan and Crew, first-timer here! Just discovered your program this weekend on Youtube. Showed a couple of the videos to my kids for family night. We are all pleased and excited to have discovered you. Looking forward to more. Way To Go! A few years back I watched another Book of Mormon series that was making the case for Central and South America. While what they said was interesting and somewhat plausible, it just wasn’t ringing true with me. It’s the covenant! The covenant is the key! I am so pleased at the work you are doing. Already posted a couple segments on FB and you have secured my interest and effort to spread the word. We’ll certainly add the DVD’s to our collection as financial support. Thanks Aaron, I’m thrilled you’re thrilled. I’m just fortunate enough to find this information and the researchers that have devoted their lives to figuring this stuff out and I felt others would be as thrilled as I am to know what I’ve learned. Thanks for confirming that. It’s funny you addressed it to “Ryan and Crew” if only I had a crew! ha ha. I’m glad I fooled you, in all honesty I’ve shot every episode myself, while hosting it and writing, editing, DVD authoring, website…..etc it’s a one man crew at the moment. But I’m hoping to expand my efforts with others and your support in buying the DVD’s helps tremendously. So thanks! Ryan, I stumbled across your program recently. Since then, I have encouraged members of my family to tune in also. 1. It is not surprising that almost no one remembers “The Covenant” that America was placed under when our nation began. Our Education System has been under assault for more than 80 years by…..fill in the blank. Bro. Ballard would be the best authority as to who is behind this assault. My wife and I had to de-program our 5 children each day when we had dinner as a family and correct all the falsehoods that they had learned in school that day. I for one will complete my children’s and my grandchildren’s education by teaching them about “The Covenant of America”. 2. It is probably too late to save the United States. Dr. Skousen , in his book, “The Cleansing of America” has pointed out that the Day of the Gentiles here in the Covenant Land of America is coming to an end. This started when the Jews were allowed back into Isreal in 1949. But before Native American “Mormon” and political Liberals start celebrating, they had better realize that they are simply fulfilling prophecy by bringing about this downfall and in turn, hastening the cleansing of America. 3. It really doesn’t matter who comes from who anymore. Many of us, including me, are a mixture of peoples who have inhabited America for more than a thousand years. Yes Native American “Mormon”, I too, am part Native American. When America is cleansed, the cleansing will affect us all. Ryan’s work and the point of Bro. Ballard’s work is the key. We had all better keep and obey the covenants we have made and those covenants made by our forefathers like Washington. If we do not, we will not be allowed to “stand” in the last days which we are now experiencing. We will be cleansed from off the face of this land: Native American, White, Black, Oriental, Liberal, Conservative and every combination of the above. Read the Scriptures. The promises, covenants and the penalties for not keeping the covenants all in there. Thanks for pointing the Covenants made that George Washington place us under. What an inspired man he was. I try to always remember this act and I try to teach my family if they will listen. Ryan … I would like to get in touch with you, could you email me? Ryan, I really need to contact you I have done a lot of research that I think you would be interested in. Todd, I browsed your website, good stuff. I’d like to know more about some of the connections you made, I’d love to see the sources for positions on your Introduction / Research page. Thanks for sharing! I just bought the DVD’s of your first season! Fantastic! It fits right in with Jonathan Cahn’s work in the New York Times best sellar The Harbinger, and Rod Meldrum’s work. The covenant idea with Cahn and the geography with Meldrum. It is all so very convincing and uplifting. Can you give me the source where you found that Abraham Lincoln cheched out the Book of Mormon? Thanks so much for all your hard work! Thanks Mark. Yeah Jonathan Cahn is an interesting guy. I’ve met with him a few times. Before any “judgement” came upon the Nephites, the Book of Mormon states something to the effect of “….and Prophets came into the land preaching repentance”…. it’s usually plural “prophets” multiple witnesses. And not all we’re from the “Nephite” church….. who was Samuel the Lamanite for example? I believe the Lord works through many people to bring about his work and it wouldn’t surprise me if Johnathan Cahn was one of them. As far as the source for Abraham Lincoln checking out the Book of Mormon, the source is the Library of Congress. Their ledger has the record. Get Tim Ballard’s book “The American Covenant” and call up the LOC with the date and for a few bucks they’ll send you a copy of the ledger with Abraham Lincoln’s signature. Thanks for the support! thanks so much! I will get the Ballard Book! Ryan what about season 3????? Looking forward to Season 3! Ryan, when I try to get into Nephite Explorer to watch a show, it is coming up with “my account has been suspended”. I am current on my payments for this site. What happened? What do I need to do? When will you be on Netflicks? Can you put your series up on iTunes or Vudu. It would make it drastically easier to support you. This site describes a methodology and a logical model for Book of Mormon geographical references. I invite you to review the site and, if possible, endorse the approach and/or provide recommendations. Look forward to any feedback you can share. PS Love your Nephite Explorer video series. Best wishes in all that you do to promote the Book of Mormon!